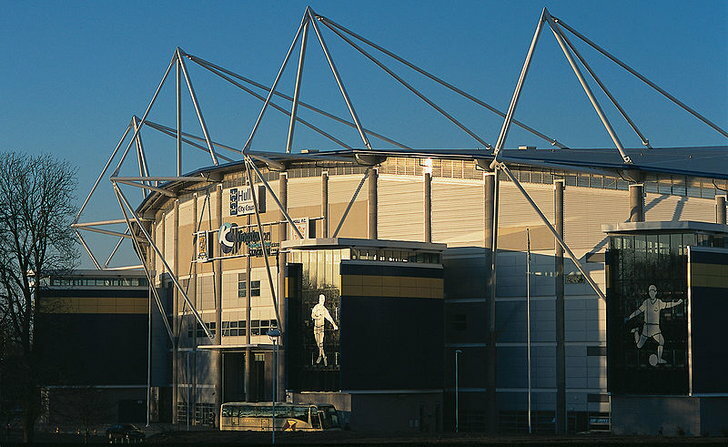 The KCOM Stadium has been the ground that Hull City Association Football Club has called home since it opened in 2002. 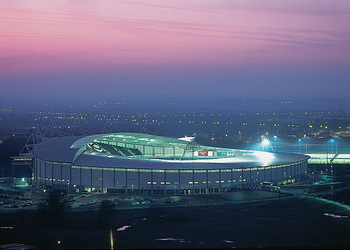 It is the very definition of a multi-purpose facility given that it is also the home of Hull FC, the rugby league club. 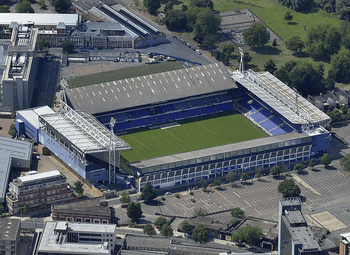 The name of the ground comes from the fact that it is sponsored by the telecommunications company KCOM, previously known as Kingston Communications. 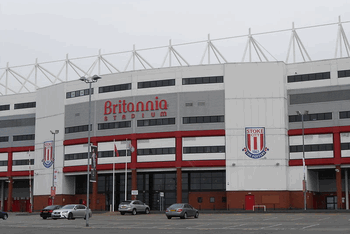 When it's used for UEFA games it is known as Hull City Stadium, owing to restrictions on sponsored names. 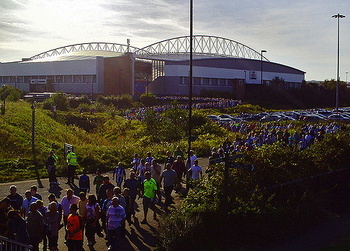 The stadium is owned by Hull City Council as well as KCOM, and the council spent a long time deciding on the best location for the venue to be built. They took into account such things as existing facilities within the city, its isolation from residential areas and the local transport options before deciding upon its current setting. 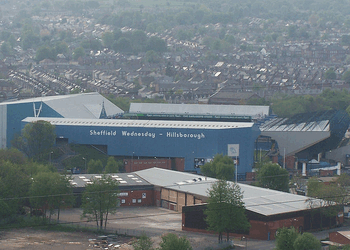 Although the football club went into receivership in 2001, not long after being granted the necessary planning permission, the stadium was completed within the allotted timeframe and within its £44 million budget. Smith & Nephew Stand - Located to the North, geographically, this stand houses the away fans in the North-East corner, next to the disabled seating section. 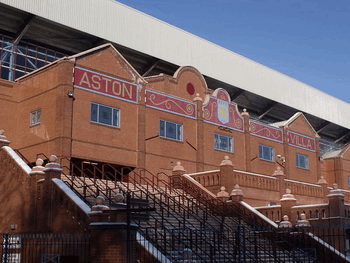 The MKM Stand - Based on the notion of traditional single-tiered ‘Kop’ stands such as the one found at Anfield and located in the South, The MKM Stand is behind the goal and offers a good atmosphere in big games. 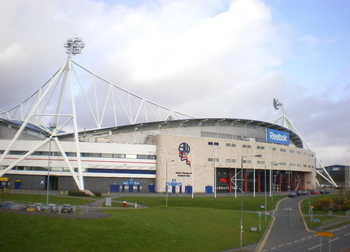 The Cranswick Plc Stand - The only stand in the ground that has two tiers, The Cranswick Plc Stand is the main one in the stadium. 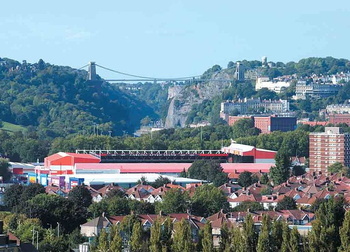 Located in the West, the two tiers are separated by 28 corporate boxes. 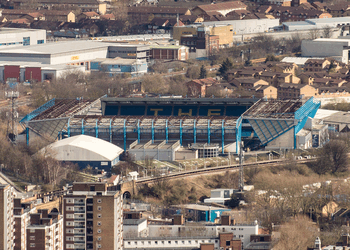 The Ideal Boilers Stand - This is so named because of a recent sponsorship deal and is located to the East. 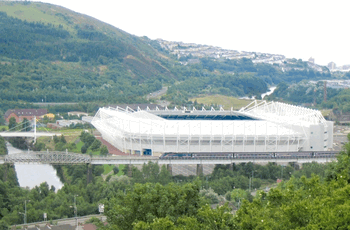 It is the part of the stadium that is most likely to be expanded, should such a decision be taken in the near future. There are a number of ways to buy tickets for Hull City games. You can get them online up to an hour before the game, as long as you’re happy to print them off at home. There are also self-service ticket machines at the KCOM Stadium itself. 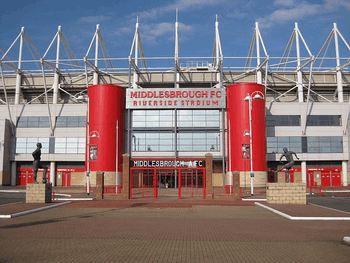 You’ll also be able to buy tickets from Tiger Leisure, Hull City’s megastore. Finally you can always call the club directly and buy tickets over the phone, should you not be too sure about trusting any other payment method. Train - Hull train station is easy enough to get to from anywhere in the country, though you might need to change at Leeds if you’re coming at it from the wrong location. It’s just over a mile from the ground, so it’s easy enough to walk from one to the other. 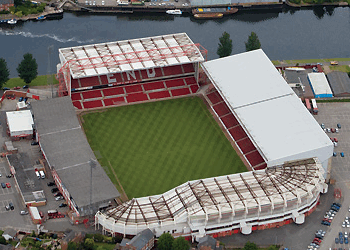 Bus - Hull has an excellent bus service with as many as 16 different bus routes serving the stadium. Numbers 2, 23, 24, 35, 48, 60, 61, 62, 64, 66, 151, 152, 153, 154, 155 and 350 will all take you where you want to go. 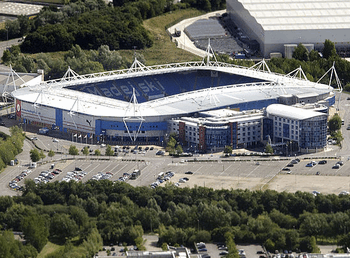 Car - The A1 and the M62 are the main routes into Hull, with the KC stadium itself being reached via the A1105. By Air - There are four airports that serve international air traffic for visitors Hull. Humberside Airport is about thirty minutes from the city, Robin Hood Airport is located in Doncaster and is 45 minutes away, Leeds-Bradford Airport is an hour away and Manchester Airport, one of the largest in the North, is two hours away. Taxi - A taxi from the centre of Hull out to the ground will take around the ten minute mark and should cost you about £12. As always with such things, if you’re stuck in the taxi for longer then you’ll pay more. 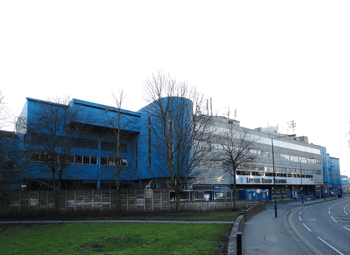 The club have their own car park on Walton Street, just across the road from the ground. It’s only £5 to park your car there, though it does fill up reasonably quickly and takes a while to empty after the match. There are numerous public car parks in the city centre, but be wary if you decide to opt for on-street parking - make sure you keep your eye out for the parking restrictions. Exactly one mile from The KC is this hotel from the ibis chain. It has a restaurant, a bar, free Wi-Fi in the reception area and you can get breakfast. More details. Campanile hotels are better known as French roadside sleeping options, but the one in Hull has 47 guest rooms, a restaurant and bar, a meeting room and a business centre. There’s also free parking and the hotel is less than a mile from the ground, so it’s the perfect place to go if you want to drive to the city. More details. The Village is an ever-growing and well-respected chain of spa hotels and the one in Hull offers an indoor pool, a health club, a full-service spa and a restaurant. There’s also free Wi-Fi, free parking and a business centre, just in case you want to host a meeting whilst you’re there. More details. 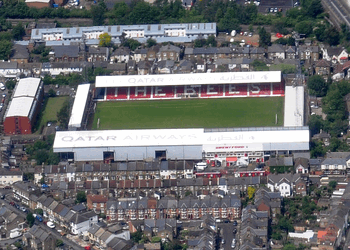 A Guinness quality accredited pub right next to the ground that is receptive to away supporters, The Brickmakers Arms has a good menu and plenty of drinks options for your pre-match pint. The New Clarence is a gastro pub with an exceptional menu, loads of drink options and special offers from time to time. They do show live sport, too, so it’s a great place to go if you fancy a pint in the centre of Hull before heading out towards the stadium. The Admiral Of The Humber is a JD Wetherspoons pub named in reference to the Royal charter granted to the city of Hull in 1447. You know what you’re getting with Wetherspoons pubs - cheap food, cheap drink and sports on the TV. Perfect. The facilities at The KC are fine. Not exactly spectacular but not run-down and terrible either. There are places on the concourses to buy yourself a tasty pie or a box of chips and there are stalls to pick a drink up at, too. An Executive Box - Pretty much exactly what you’d expect from a box at a football ground. You’ll get 10 guests in, padded seating on a balcony, drinks from a cash bar and dedicated waiting staff. The Circle Restaurant - In The Circle Restaurant you’ll get a four-course dinner, access to a cash bar, pre and post-match analysis and executive padded seating in the Cranswick Plc Stand. 1904 Lounge - The 1904 Lounge is the more relaxed of all of the hospitality options. 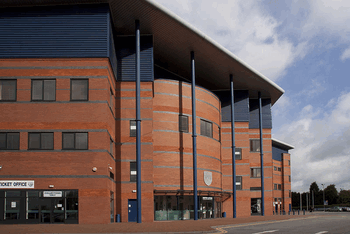 You’ll get a two-course carvery, cash bar and a complimentary match day programme. Match Sponsorship Options - This is what you’ll want to be looking at if you’re hoping to use your experience at Hull City to promote your business or brand. Your day will be hosted by a Hull City legend, you’ll get a behind the scenes tour and, of course, fine dining with complimentary drinks. 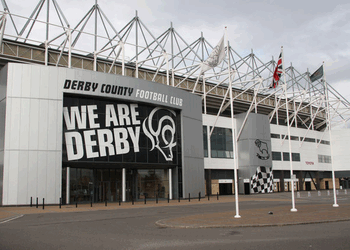 You won’t be surprised to learn that there are numerous private hire options at The KC Stadium. From small rooms that are ideal for breakout meetings through to larger areas that are capable of hosting much larger functions, your choices are endless. The stadium is also licensed to hold weddings, so if you’re a massive Tigers fan then what better location to host your big day? You can enjoy a behind the scenes tour of the inner sanctum of Hull City AFC and Hull FC’s home ground twice a day on Mondays and Wednesdays. The tour lasts an hour and takes in the changing rooms, the press area, the tunnel and the side of the pitch. It costs £5 for adults, £2.50 for concession and just £1 for children under 5. The first slot leaves at 11am and the second departs at 2pm. As for a museum, well…there isn’t one. There is, however, a fascinating website with an ‘online museum’ that is run and maintained by members of the Hull City Supporters Trust. You can visit it by heading to this website. 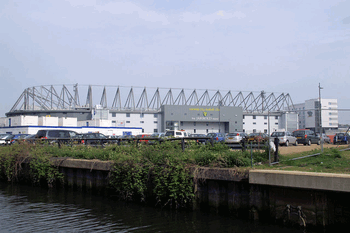 Hull City AFC was founded in 1904, though attempts to form a football team in the city had been made in the past. 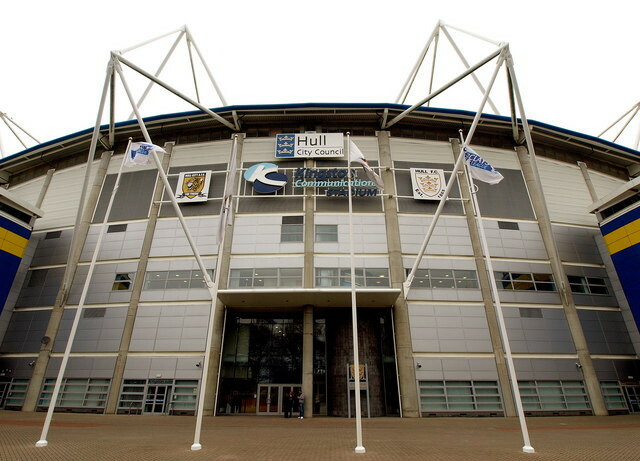 Hull has historically always been a rugby city, though, so there wasn’t much demand for an association football team. Their formation came too late for them to be able to get membership of the Football League for the 1904-1905 season, so instead they just played friendly games against any team that was interested for the duration of the campaign. Hull City and Grimsby also have quite a strange claim to fame - they were the only clubs that were given permission to play football on Christmas Day because of the demands put on them by the fish trade. Hull have spent most of their existence in the lower echelons of English football, gaining promotion to the top-flight for the first time in 2008 when they won the Championship play-off final at Wembley. They remained in the Premier League until the end of the 2014-2015 season when they were relegated back to the Championship. Their best performance in cup competition came in 2014 when they reached the final of the FA Cup, eventually losing to Arsenal. 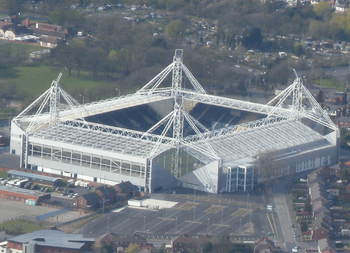 The KCOM Stadium, so named because of a sponsorship deal, took just over a year to build at a cost of around £44 million. 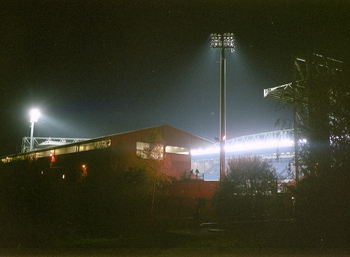 Hull City moved to the ground from their old location at Boothferry Park when the stadium opened in 2002. 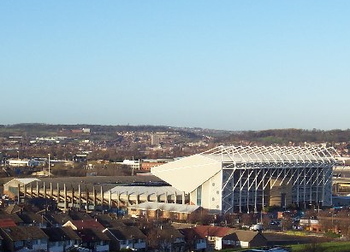 It isn’t just a football ground, though, also playing host to Hull FC, the rugby league club. 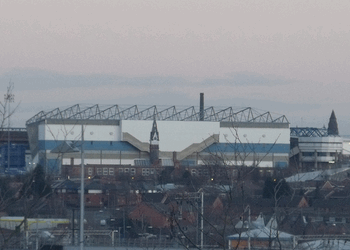 Whilst Hull City moved from their old ground Hull FC moved from theirs, the now defunct stadium called The Boulevard. 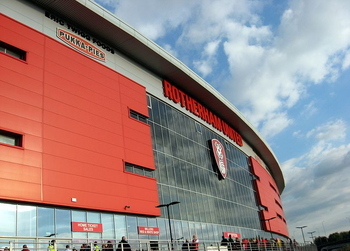 Far from being a venue used solely for football and Super League matches, The KCOM Stadium has also played host to England Under-21 international matches, rugby league test matches and a variety of music concerts. 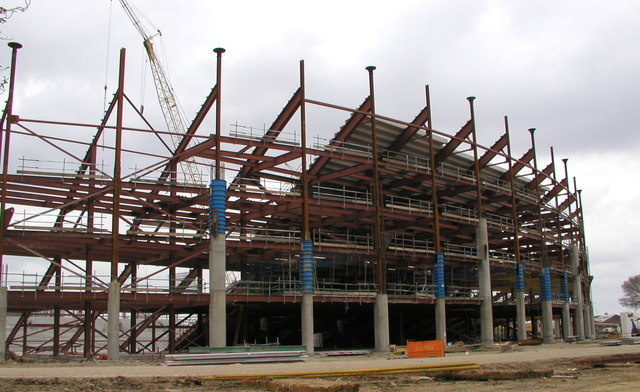 Artists such as Elton John and The Who have graced the people of Hull with performances in the stadium over the years. 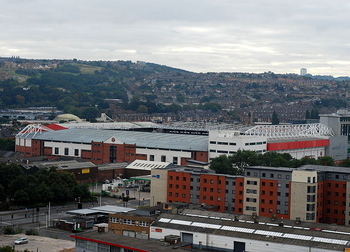 The club reportedly has plans to add additional tiers to the East and the South Stands at some point in the future, increasing the capacity of the stadium to 34,000. When that will take place, however, is open to debate. Certainly there are no plans to make the changes in the near future.